There are normally discounts accessible to senior citizen and small kids. Find out by contacting your nearest pool in Virginia. The best pools to swim are certainly indoor olympic pools. 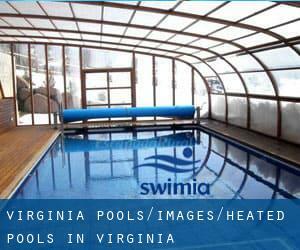 Thanks to some new Heated Pools in Virginia submitted daily, Swimia.com is growing every day the number of stored pools. Please don't hesitate to contact us if you obtain any inaccurate or incomplete information. Swimming is usually a sport for all ages. It assists young people to tone their muscles and grow healthful and powerful. Are you a normal swimmer? Do you visit the same Swimming Pools? Please check that all the details for your aquatic center are correct and contact us for those who come across any mistake. 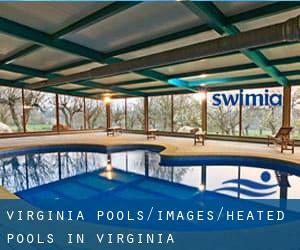 Please check the nearest Heated Pools in Virginia or Contact us to ADD IT. It's no cost! Swimming is usually a excellent concept to help keep your body active during your visit to Arlington (Virginia), or perhaps for anybody who is a local. Swimia helps you to find your closest Pool in Arlington. It's difficult to visit Virginia without having dropping by Chesapeake (with 222.209 residents). Presently Swimia is showing you all of the Swimming Pool in Chesapeake and the closest pools located in its vicinity. Let us tell you a secret to switch off though you will be in Norfolk: just choose a Swimming Pool in Norfolk and plunge into the water! There's no even more helpful method. Without a shadow of a doubt, swimming in Newport News is the most beneficial solution to unwind after function. Take a couple of minutes to browse Swimia's catalog to find a Swimming Pool in Newport News. Holding an estimated population of 204.214, Richmond is one of the most important cities in Virginia. Check all of the Swimming Pool in Richmond and its surrounding region. Whereas Virginia Beach is among the six most populous cities in Virginia with nearly 437.994 residents, you shouldn't miss that one if you're going to Virginia. Updated on 2019 1600 Long Crescent Drive , Spring Garden , Bristol , VA , USA (Postal Code: 24201). This sports center offers 25 yards x 25 meters, 6 x 6 lanes, Indoors. For this Swimming Pool, only phone number is number here. Updated on 2019 Naval District Washington, West Area , Dahlgren , VA , USA (Postal Code: 22448). Swimmers like you reported 25 yards, 6 lanes, Indoors. Unfortunately we do not have the email address of this Swimming Pool, but we can give you the phone number. Updated on 2019 2231 Crystal Dr. , Crystal City , Arlington , VA , USA (Postal Code: 22202). Among all of the activities offered by the center, when you are thinking about swimming you can expect to enjoy 25 yards, 5 lanes, Indoors. Just in case you would like to get in touch with this Swimming Pool prior to dropping by, we only know the phone number. Updated on 2019 U.S. 220 , Hot Springs , VA , USA (Postal Code: 24445). This sports center offers 25 yards, Indoors. For this Pool, only phone number is number here. Updated on 2019 15 Appledore Lane , Natural Bridge , VA , USA (Postal Code: 24578). Swimmers like you reported 20 yards, Indoors. Phone number and e mail address are number for this Swimming Pool. 12196 Sunset Hills Road , Reston , VA , USA (Postal Code: 20190). Swimmers like you reported 25 yards, 6 lanes, Indoors. Unfortunately we do not have the e-mail address of this Swimming Pool, but we can give you the phone number. Updated on 2019 7920 Jones Branch Dr. , McLean , VA , USA (Postal Code: 22102). Among all of the activities offered by the center, if you are interested in swimming you will enjoy 50 feet, 3 lanes, Indoors. Just in case you want to get in touch with this Swimming Pool prior to dropping by, we only know the phone number. Updated on 2019 310 South England Street , Williamsburg , VA , USA (Postal Code: 23185). Among all the activities provided by the center, if you are interested in swimming you can take pleasure in 20 yards, 3 lanes, Indoors. Just in case you wish to contact this Swimming Pool prior to dropping by, we only know the phone number. Updated on 2019 625 Patrick Henry Dr. , Blacksburg , VA , USA (Postal Code: 24060). This sports center gives 25 yards 1in x 45 feet, 6 lanes, Indoors. For this Swimming Pool, only phone number is number here. 2017 Belle View Blvd. , Alexandria , VA , USA (Postal Code: 22307). Among all the activities offered by the center, when you are keen on swimming you will enjoy 25 yards x 25 meters, 10 lanes, Indoors. Just in case you would like to contact this Swimming Pool before dropping by, we only know the phone number. Updated on 2019 44050 Woodridge Pkwy. , Leesburg , VA , USA (Postal Code: 22075). Swimmers like you reported 20 yards, Indoors. Unfortunately we do not have the email address of this Swimming Pool, but we can give you the phone number.